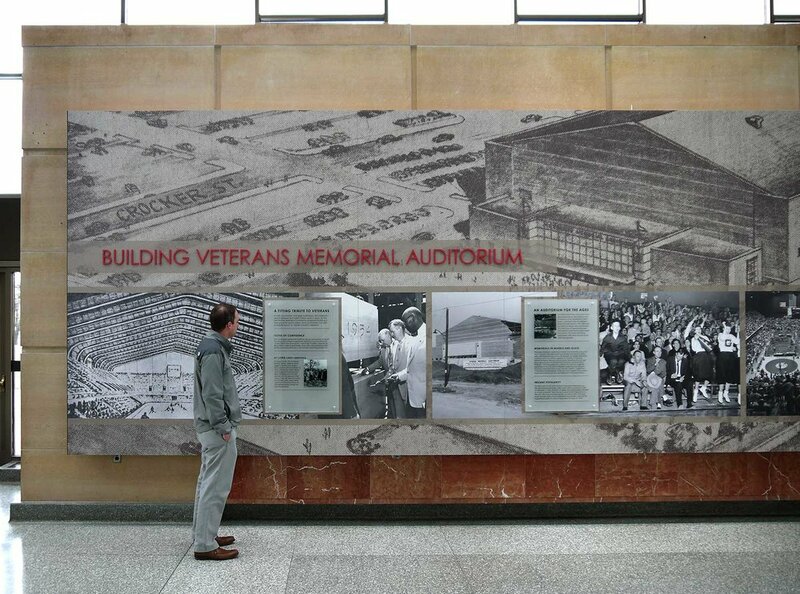 The Veterans Memorial Auditorium, located in Des Moines, Iowa, was built as a venue to house concerts and sporting events. Between 2010 and 2012, the building went through a major renovation. 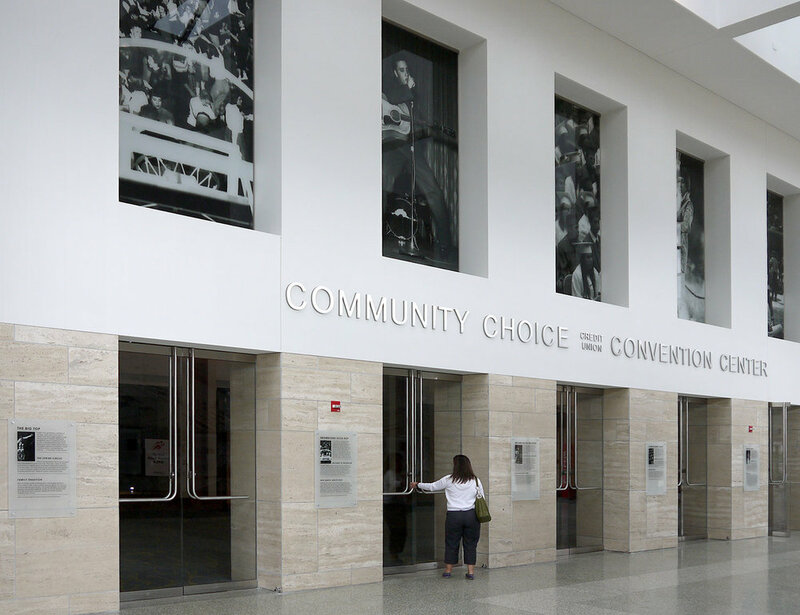 The space was converted to a convention hall and renamed the Community Choice Credit Union Convention Center. 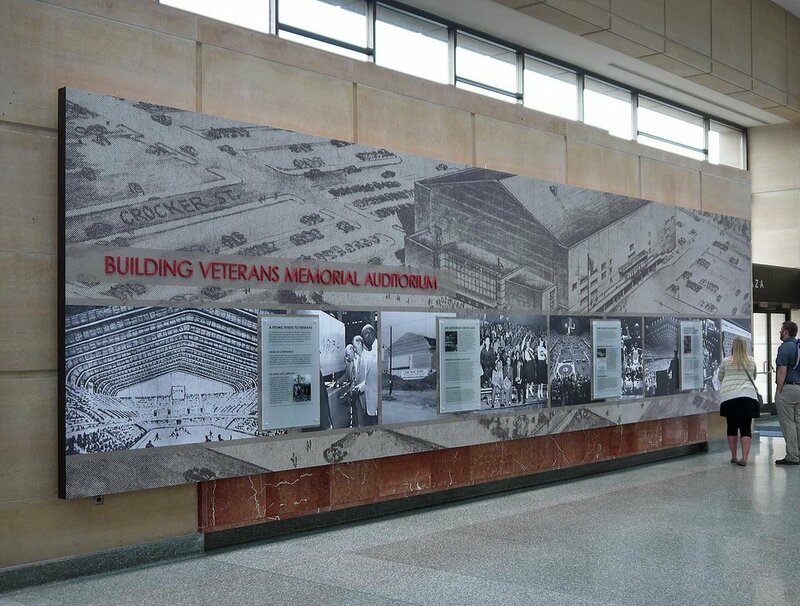 The Veterans Memorial Hall was created during the renovation of the building to pay homage to the space’s history and to honor Iowa’s war veterans. 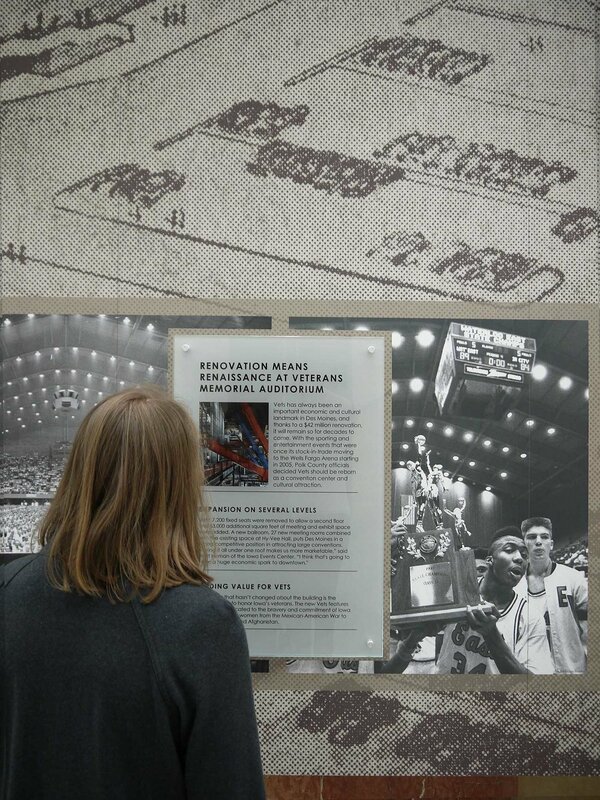 Created at Eisterhold Associates, Inc. Designed by Kelly Furlong, Curtis Pickell, and Rhianna Weilert. Production art by Jessica Bayer and Kelly Furlong.